Mark Millar comic book series Jupiter’s Legacy is heading to Netflix to be adapted as a live-action TV series. 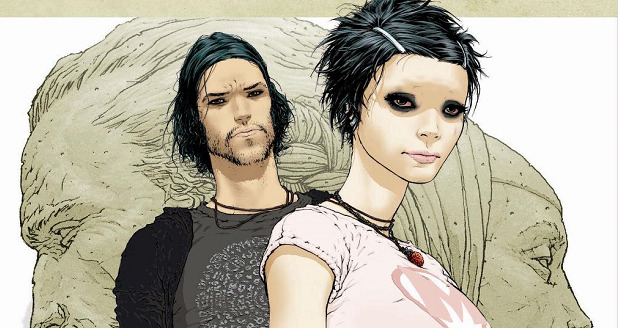 Jupiter’s Legacy is starting to take shape over at Netflix, which has just announced the crew and main cast of the TV series adapting Mark Millar’s comic book series, which puts an alternate-universe twist on superhero tropes. When Netflix acquired the Millarworld publishing brand back in July 2018 from its eponymous prolific Scottish comic book writer, we knew that the streaming giant had grand designs to create its own self-contained branding of comic book movies and televisions shows. Indeed, Jupiter’s Legacy was one of the announced projects, on which Netflix is now moving forward under the purview of a serious showrunner in Steven S. DeKnight (Daredevil, Spartacus and Buffy The Vampire Slayer), who will serve as executive producer with Millar and the comic’s artist, Frank Quitely, along with Lorenzo di Bonaventura and Dan McDermott. DeKnight also will write and direct the pilot. Netflix is also promising subsequent announcements of additional cast members. The comic, which launched back in 2013, has been on the entertainment industry’s developmental backlog for a few years now. At one point in 2016, a feature film appeared to be in the works – obviously until it wasn’t. Jupiter’s Legacy has yet to reveal a production or release date. However, with the cast/crew reveal announcement, one must think that production is set to commence soon enough.